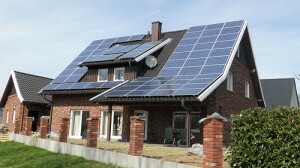 Last year, Germany broke a world record by producing the equivalent of 20 nuclear power stations with solar. A country without too much sun was able to generate 50% of its daily energy using solar power. This July, Germany broke a new world record by generating 5.1 terawatt-hours of electricity from the sun. Germany’s leadership in sustainability goes beyond green energy. As End Neoliberalism exposes in Occupy The Market, the city of Freiburg is the most eco-friendly in the world. 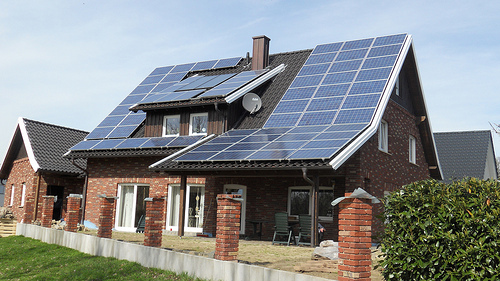 Passive solar construction, insulating material, solar panels, and other eco-friendly methods put the energy use of a Freiburg home far below a typical home in Germany. Furthermore, the city’s transportation system consists mostly of an extensive pedestrian zone, public rail, and cycling. 70% of families do not own cars in Vauban, a suburb on the outskirts of Freiburg. While the typical North American family spends over $1000 per month on car ownership, insurance, and gas, Freiburg families enjoy plenty of savings.